Water’s Edge Festivals & Events is pleased to announce that the historical Canadian icon, Bluenose II, will be participating in a tour throughout Ontario next summer called the TALL SHIPS CHALLENGE® ONTARIO tour. The ship that’s adorned the Canadian dime since 1937 will be leading a fleet of majestic tall ships as they make stops in Toronto, Sarnia, Midland, Kingsville and Brockville. The TALL SHIPS CHALLENGE® ONTARIO tour is the Canadian portion of the TALL SHIPS CHALLENGE® Great Lakes Series that will also see the fleet travel to ports in the U.S.
Toronto’s 2019 Redpath Waterfront Festival, presented by Billy Bishop Airport, will once again launch the TALL SHIPS CHALLENGE® Great Lakes Series. During Canada Day weekend, June 29th to July 1st, Toronto’s waterfront will be transformed into a nautical wonderland with a fleet of tall ships docked from Harbour Square Park to HTO Park West. In Toronto, the Bluenose II will be joined by Picton Castle, a tall ship that has travelled the world and also calls Lunenburg, N.S, home. The 179-foot, three-masted vessel is currently on her way to Bali, Indonesia on her seventh voyage around the globe. Other tall ships in the tour include U.S. Brig Niagara, Pride of Baltimore II, Denis Sullivan, Fair Jeanne, Playfair and St. Lawrence II. The festival is excited to welcome back, the Royal Canadian Navy and their oldest commissioned ship, Her Majesty’s Canadian Ship Oriole and, for the first time, the Canadian Coast Guard will be participating in the festival. 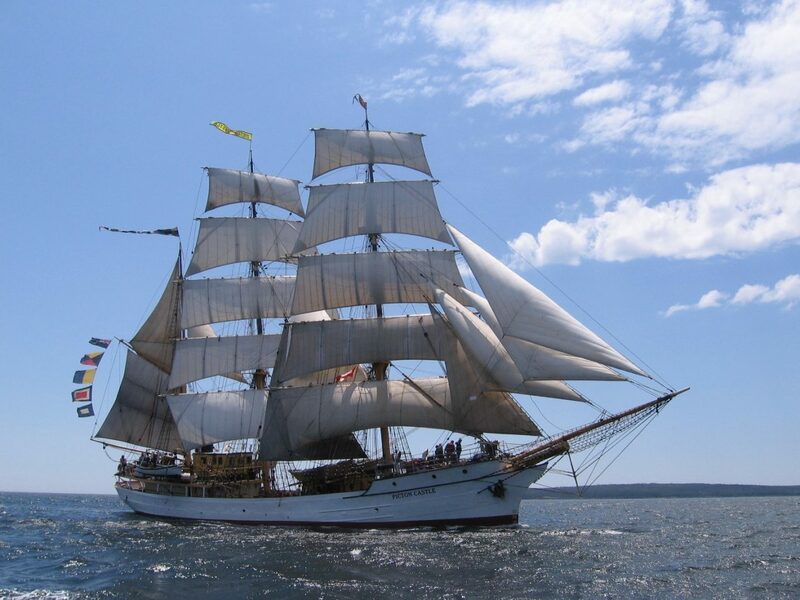 They will be cruising into Toronto on one of their service vessels and will also visit all of the ports in the TALL SHIPS CHALLENGE® ONTARIO tour. The full fleet of ships taking part in the tour will be announced in the coming months and will vary from port to port. All of the tall ships anchored at the 2019 Redpath Waterfront Festival will be open to the public for deck tours. Tickets for deck tours will go on sale in the new year. The festivities will continue ashore with vendors, food and live entertainment in each park. Further event details will be released in the months leading up to the festival. Redpath Waterfront Festival 2019 partners include: Redpath Sugar, Billy Bishop Airport, Waterfront BIA, Bell Media, Government of Canada, Government of Ontario, the City of Toronto and porter airlines. 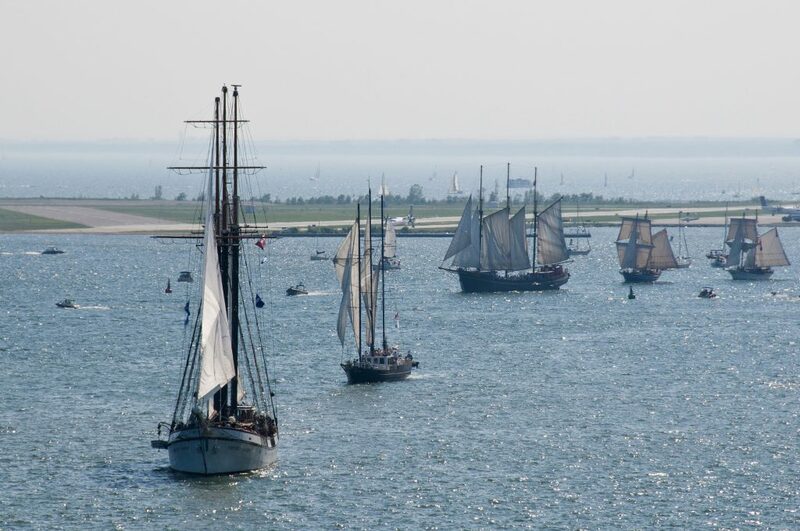 For information on the entire TALL SHIPS CHALLENGE® ONTARIO tour, please visit tallshipson.com.